This past weekend Hunter and I rocked three hours of pick up basketball. As we played with kids, teenagers and adults of all ages, it became crystal clear that none of them understood how to properly fuel their bodies. It reminded me of growing up as an athlete, the last thing I thought about was what type of food I was eating. If it smelled, looked and tasted good I was all in! Pepperoni Pizza being my favorite! Think of your favorite sports car and engine of that car. High performance engines need high performance fuel to optimally perform. Your body works the exact same way as your favorite car and as an athlete your body is your high-performance engine. YES, whatever age you are, we are ALL athletes in some capacity. Whether it’s my mom speed walking with her friends, or Abbi and I playing a heated game of tennis or Hunter competing on the soccer field or little Hope doing tumbling and gymnastics classes. The point I’m making is we all have some level of athleticism in us and for most of us, playing sports makes exercise fun. And as you compete, the better-quality food you put in your body the better your body will work for you during training, competition and recovery. As athletes, we always want to feel our strongest on game day. It’s when the stakes are the highest, and how you fuel yourself before, during and after each match or activity directly affects your performance and recovery. The ultimate goal for your pre, post and during competition foods is simple; provide your body with the necessary nutrients to maximize your athletic ability, whatever level you’re competing at. The right fuel helps you rise to the occasion when the game is on the line and also greatly assists you in recovering quickly, so you’re ready for your next match. 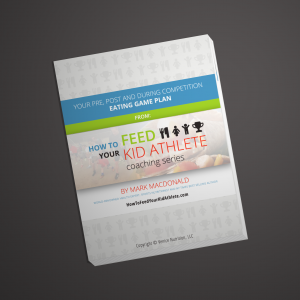 So, I’m delivering a 4-Week Athlete Coaching Series to help all athletes, Kids, Teenagers and Adults of all levels, to Fuel like the Champion they are! This week is all about fueling before your competition, then next week I’ll cover how to fuel during your competition, then we’ll dive into how to maximize your recovery with optimal post-match fuel and finally wrap with exposing the myth of carb loading and high sugar sport drinks. So buckle up, it’s time you take your fuel to the Next Level! 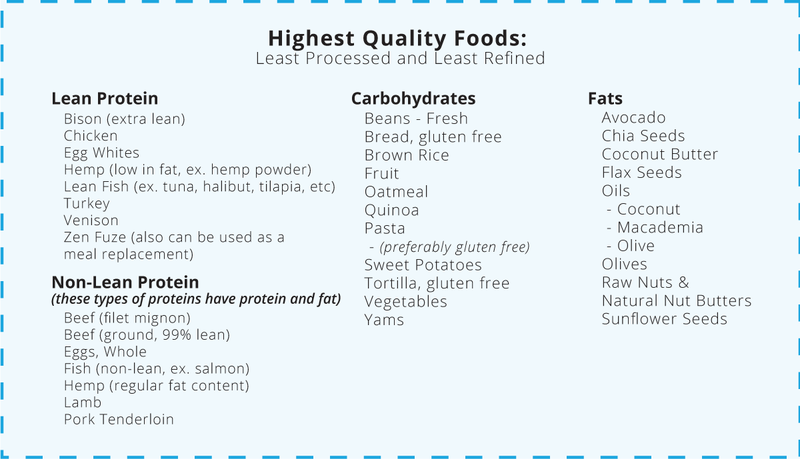 The word you want to focus on is Quality for your pre-fuel meals. Focus on eating proteins, fats and carbs that are clean, unprocessed and digest well in your body. Now we all digest particular foods differently and have different taste buds, so use this information as a starting point and then experiment with the foods and meals that seem to work best for you before and after your competition or activity. 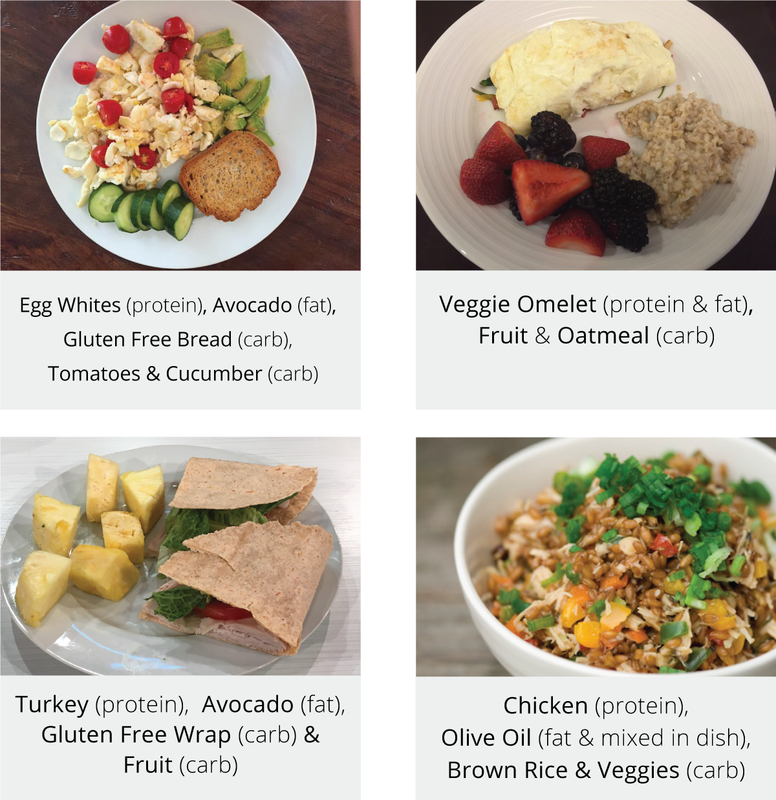 Before I dive into your 3 Pre-Fuel guidelines, if you want a quick refresher on eating PFC Every 3, and the science of Protein, Fats and Carbs, simply click on what you want to learn more about and it will take you to a fun and educational article I wrote on each one. OK, it’s time to learn your 3 Pre-Competition Fuel Guidelines, AND experience some delicious pre-competition recipes and meal examples. Guideline 1 – Eat approximately 120 minutes (2 hours) before your competition so you have proper time to digest your food. Focus on being satisfied after your meal to ensure balanced blood sugar levels. Make sure to drink 2-4 cups of water (8 oz in each cup) approximately 90 minutes (1½ hours) before your competition. Guideline 2 – Choose from the list of the highest quality proteins, carbs and fats that your body digests well and leaves you feeling light and fast. Avoid protein shakes, bars and meal replacements as your pre-competition meal; whole food will provide greater energy to prepare you for your competition. You’ll use protein shakes, bars and meal replacements as your during competition fuel. Guideline 3 – If you’re competing in a tournament or are on the road and cannot bring your pre-competition meal, make sure to apply these same eating concepts when eating in a restaurant. Are you a high-level Athlete? 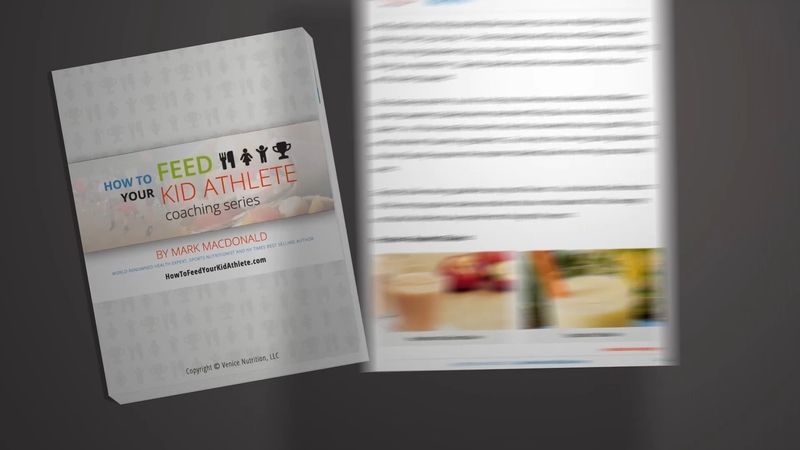 I designed it to help all high-level athletes get the competitive edge and I have helped thousands of word class athletes around the world unlock their fueling potential.